The Series 5 update brings a brand-new way to play Online Adventure. In addition to the traditional Team Adventure, players now have the option to compete individually. This new mode can be found in the Online Adventure Tab and is available in both Ranked and Unranked modes. 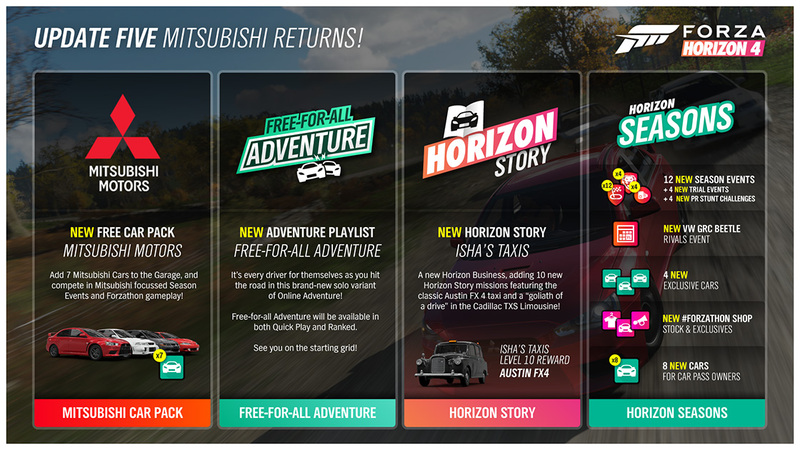 It’s time for a new Horizon Story and a new Horizon Business. 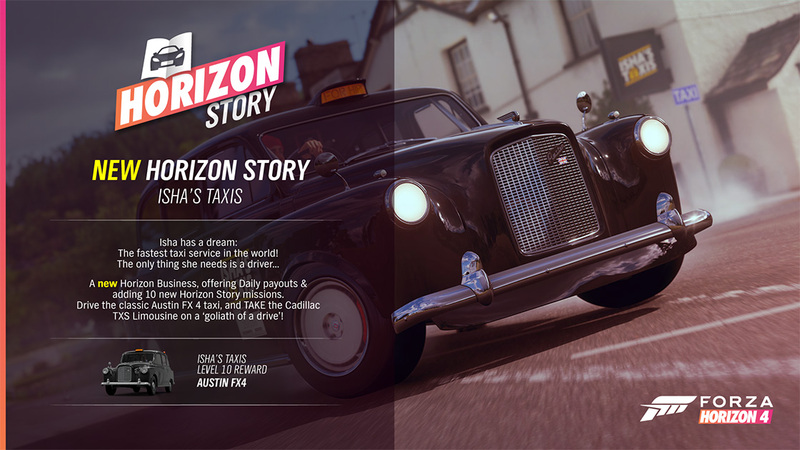 “Isha’s Taxis” features 10 new missions featuring the classic Austin FX4 taxi, as well as a mission featuring the Cadillac TXS Limousine. Drive with speed and style and you’ll have chance to win the Austin FX4 as the Level 10 reward. 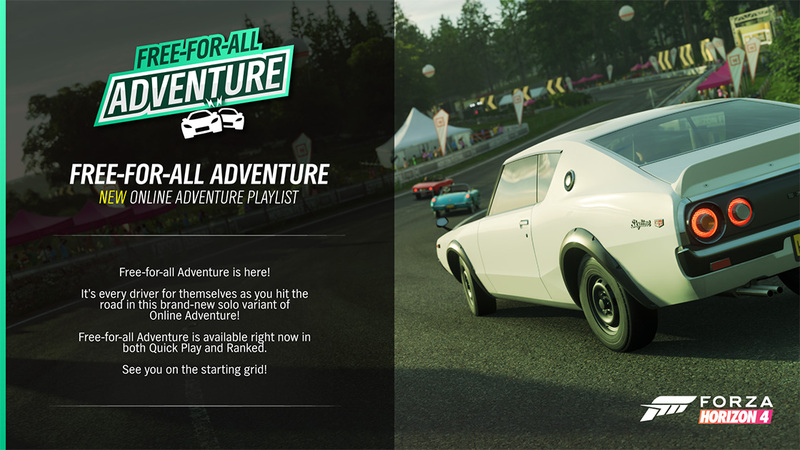 In addition to the above features, Playground Games have delivered several cross-platform fixes designed to improve the experience for all players. Highlights among these improvements include adding new filters to Event Blueprint searching, including racing series, creator, and title, as well as adding the ability to view all eligible cars for a Trial or Season Championship. 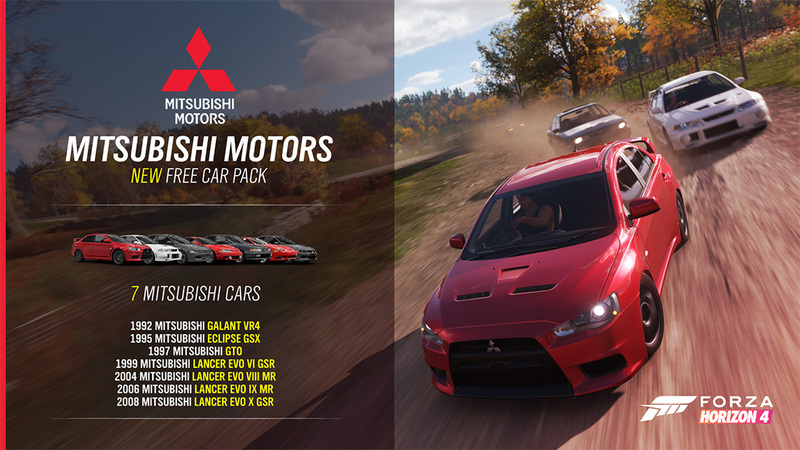 · Resolved issue where Drivatar names could be duplicated in events. · Fixed an issue where turning off Rewind in difficulty menu would prevent users from being able to rewind during route creation. · Prevented damage being applied to player car when restarting British Racing Green: Chapter 10. · Improved visibility of Street Race event finish lines. · Fixed an issue where passing through a Danger Sign twice in quick succession would cause all other PR stunts to stop working. · Fixed an issue where the Speed Trap near the train bridge could be exploited. · The ‘Carlton’ and ‘Floss’ avatar emotes are no longer available. · Fixed issue where Average Slip Damper was not working on wheels that required inverse force feedback (FFB). · Fixed issue where center spring in FFB would remain on while in the air. · Improved rumble and FFB feedback on wheels. · Fixed issue where controller mappings for a second device were not being saved. For the full list of fixes, features, and improvements, review the Series 5 Release Notes on the Forza Support page.